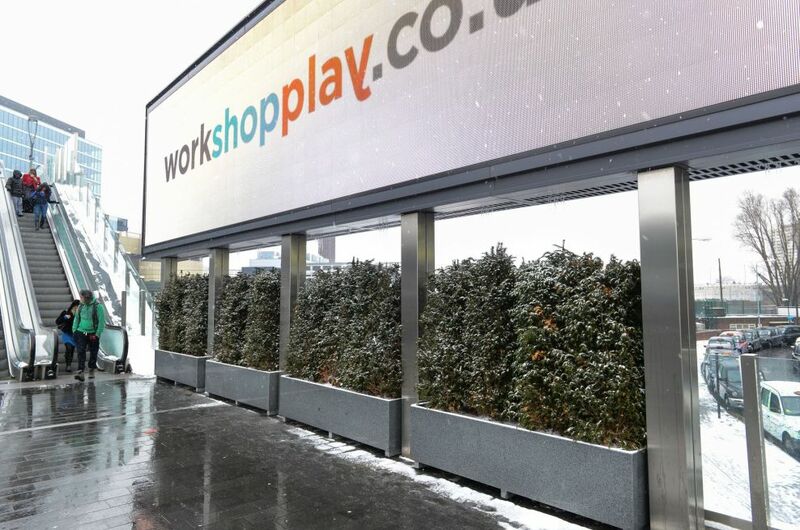 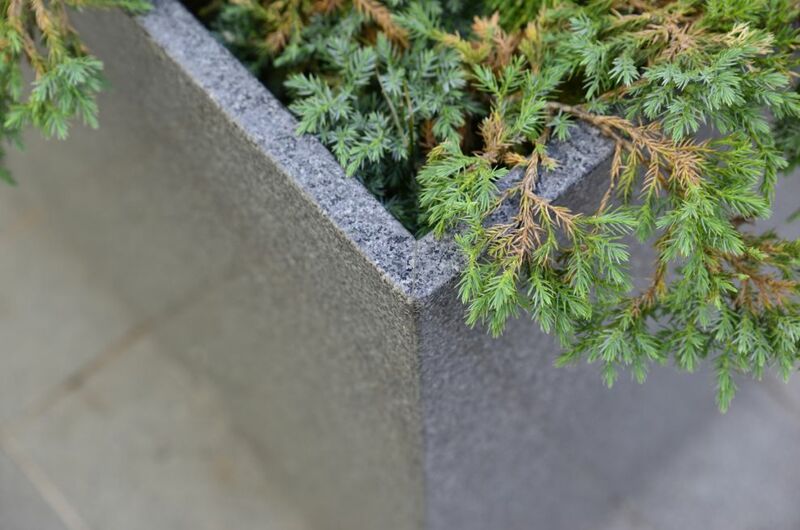 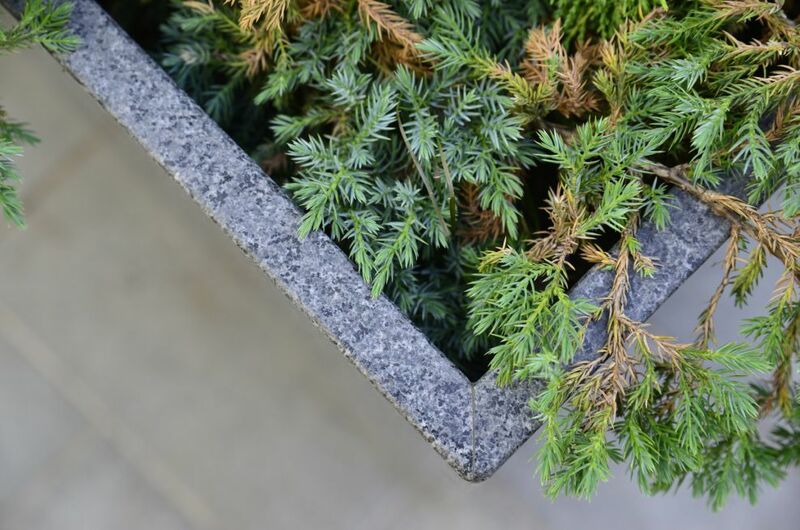 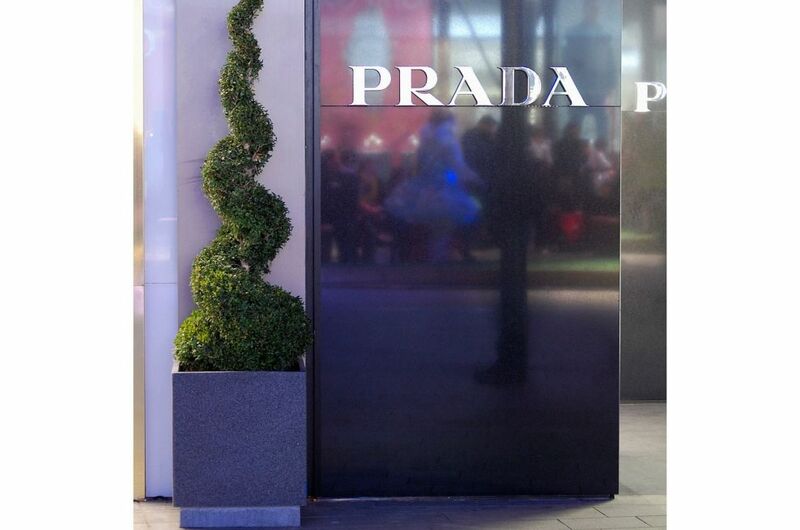 Bespoke granite planters were commissioned from IOTA for Westfield Stratford City, the largest urban shopping centre in Europe and the new lifestyle destination for East London. 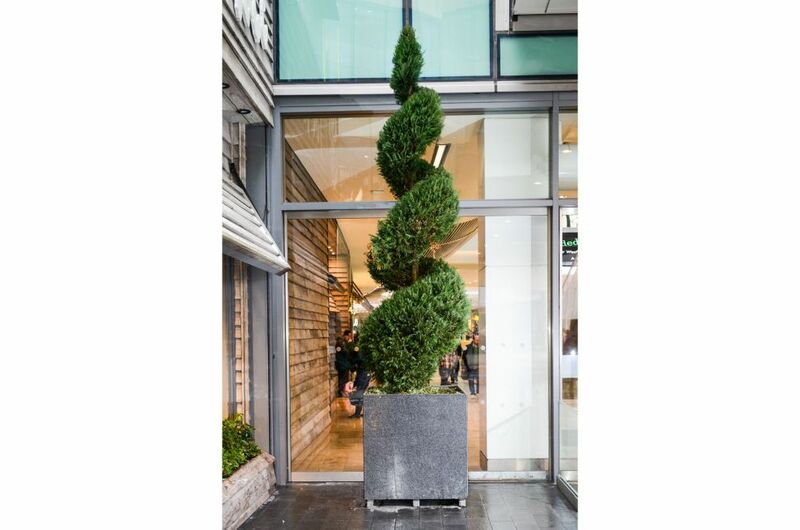 A total of 145 bespoke planters were supplied for this project, comprising 1m cubes, 500mm cubes, 2160mm long troughs, and 73 nr. 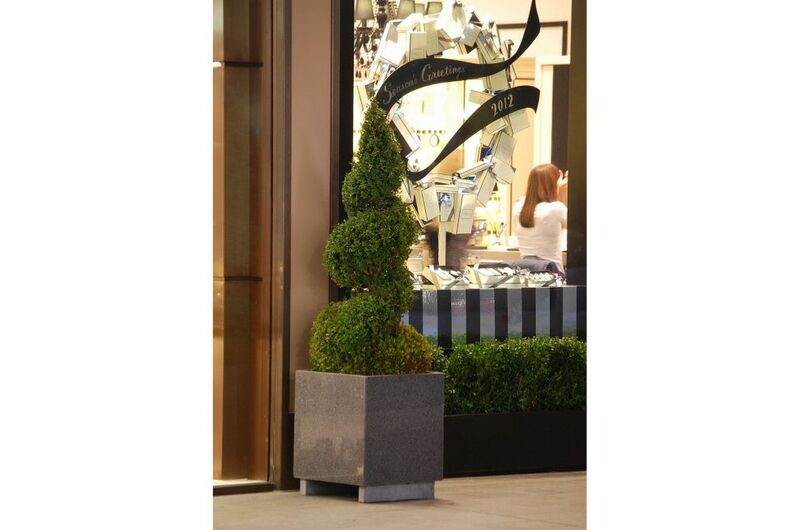 tree planters of dimension L 1200 x W 1200 x H 700mm. 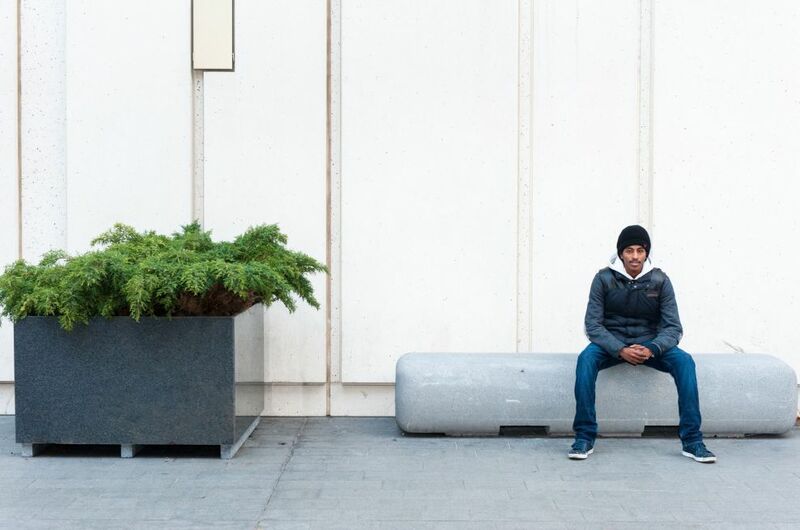 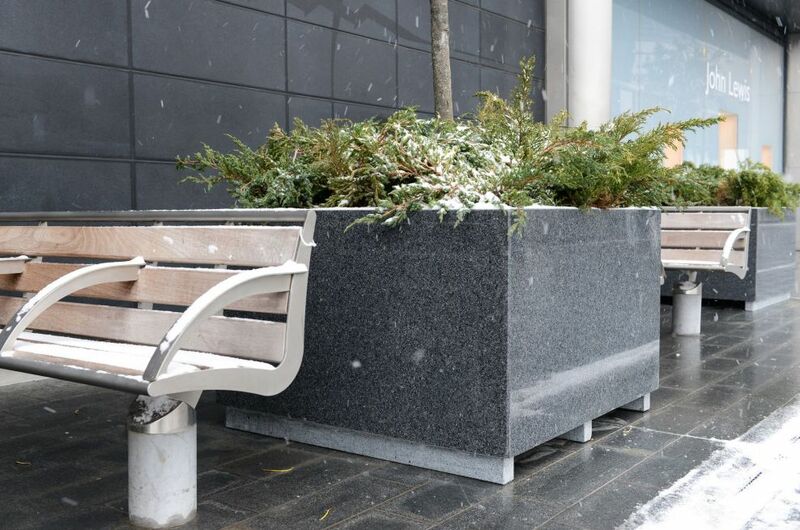 All planters were supplied with integral granite feet (to enable movement by forklift or pallet truck); and the 1200mm tree planters included stainless steel eye bolts in the base of each planter (to assist installation, and which also served as attachment points for a tree anchoring system). 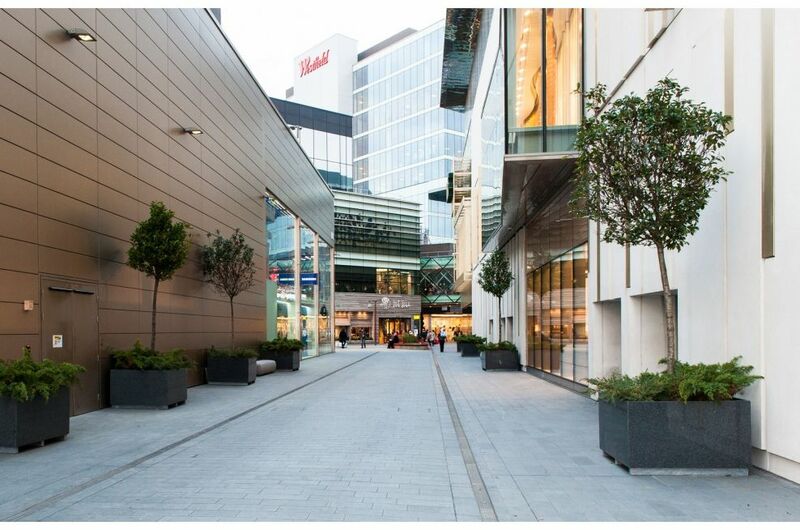 IOTA also designed and supplied a lifting rig for forklift installation of the planters. 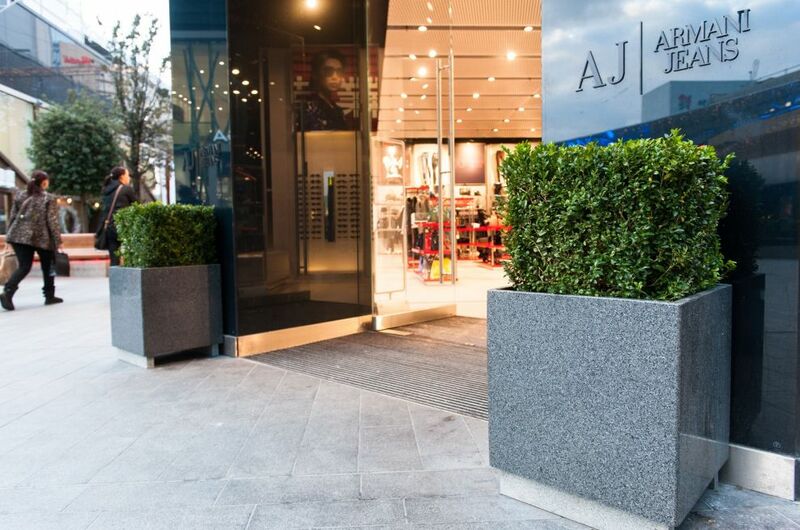 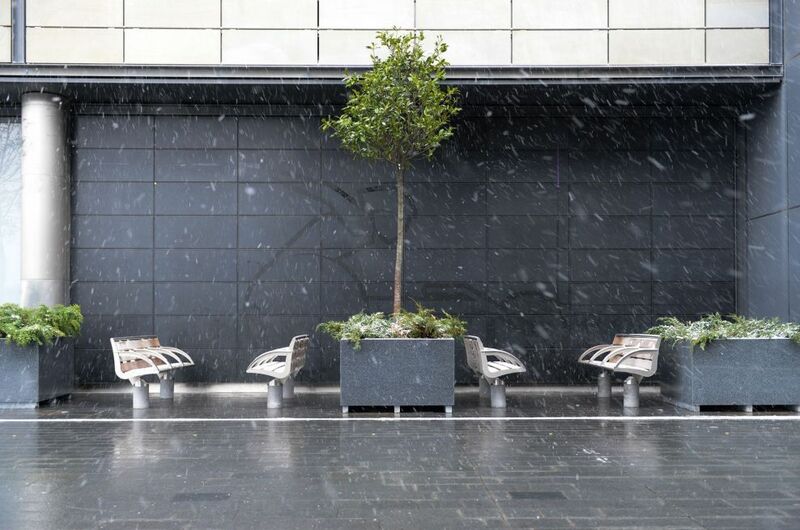 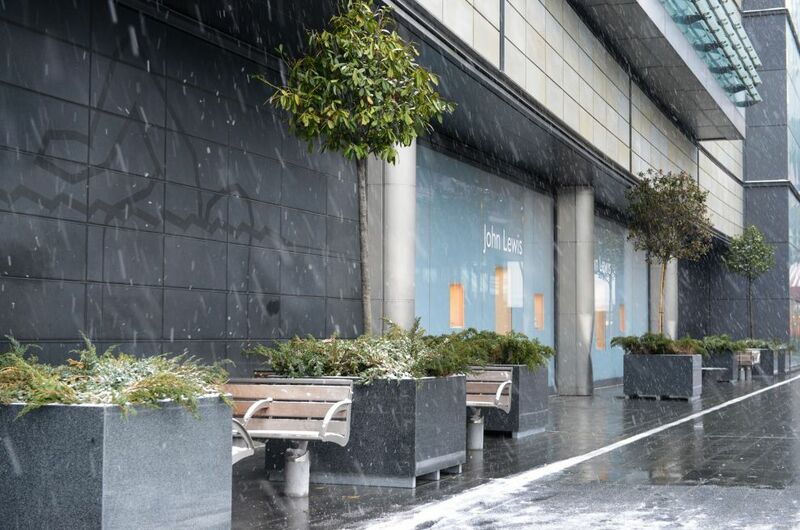 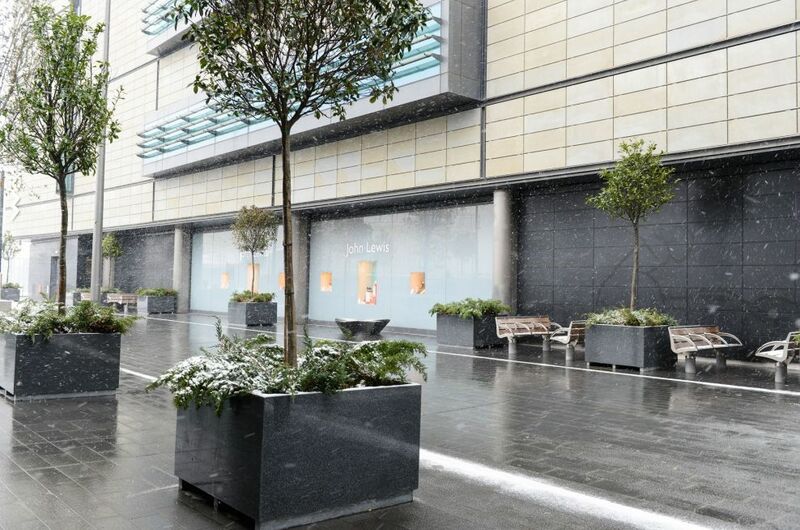 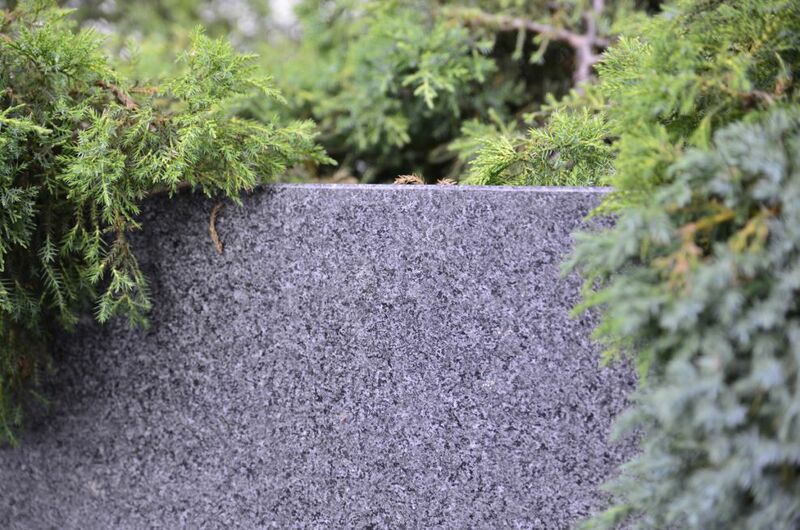 The granite planters were commissioned and installed by Urban Planters London East, which has been awarded the plant maintenance contract at the centre. 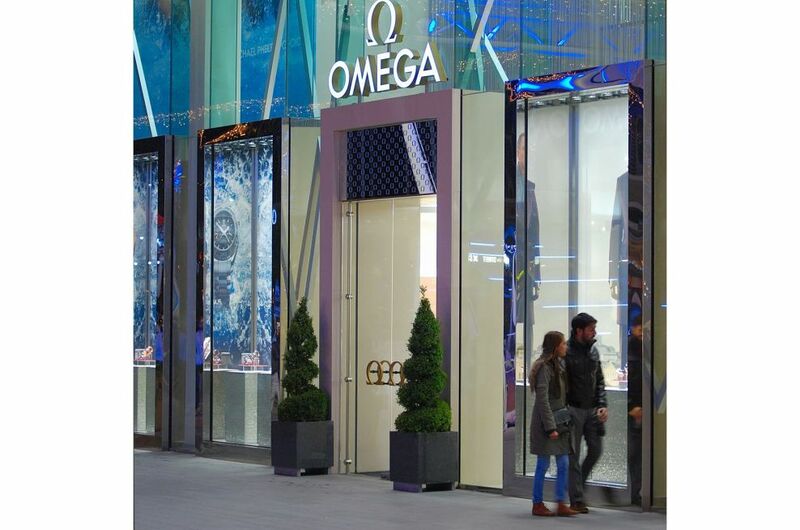 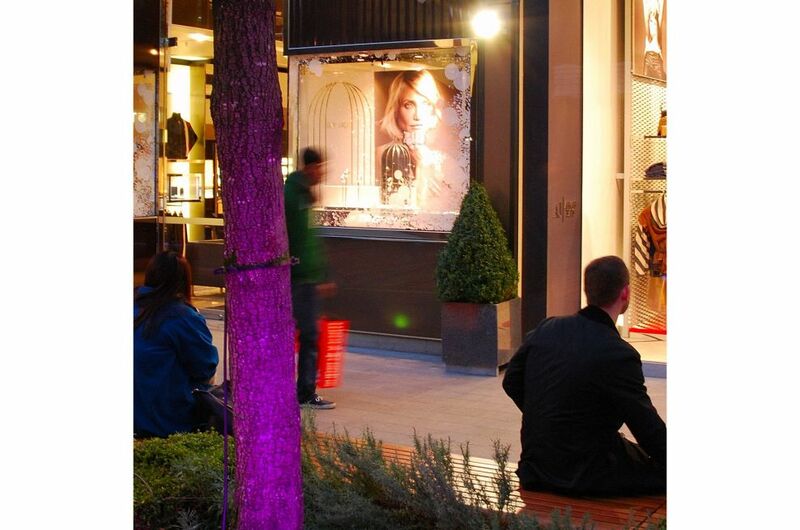 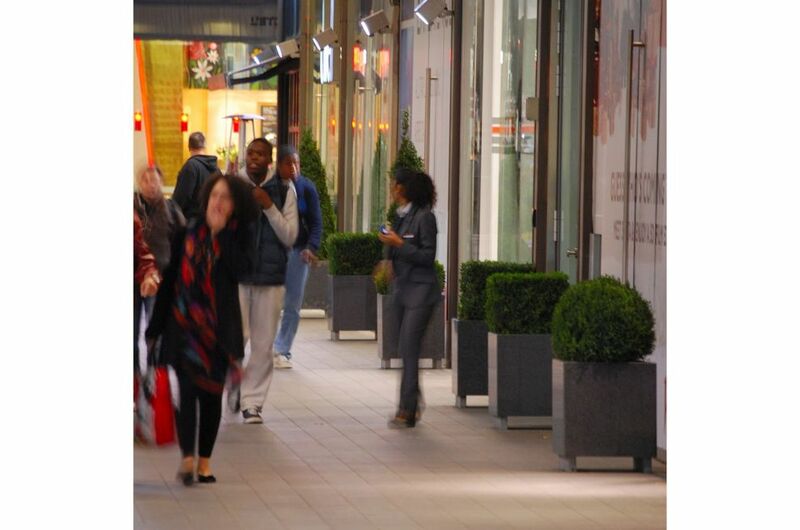 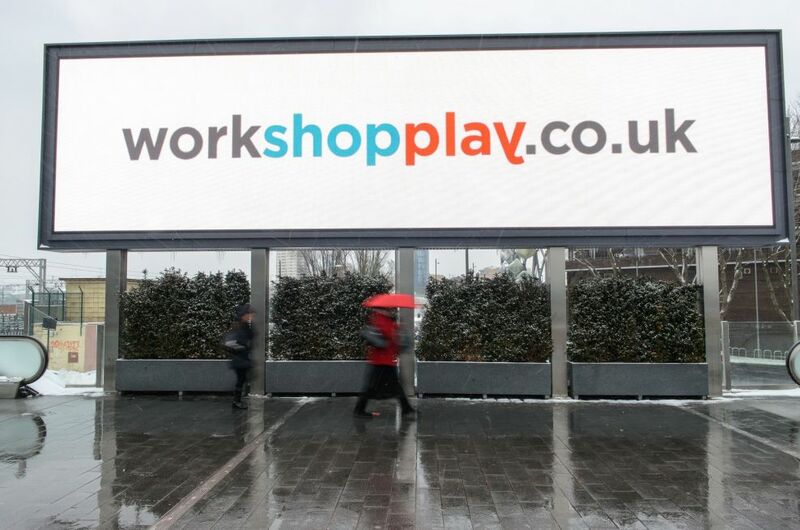 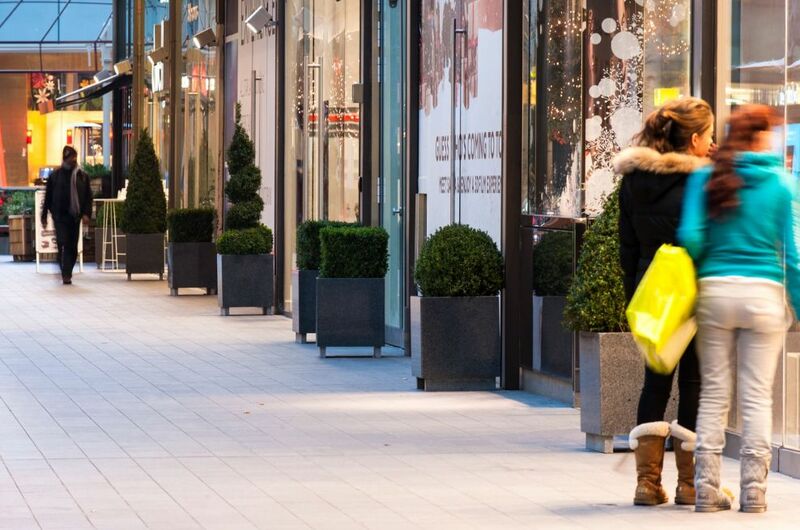 Westfield Stratford City is the largest urban shopping centre in Europe with a total retail floor area of almost 2m square feet, offering 250 shops and 70 places to dine, in addition to a 17-screen all digital cinema, and the new 65,000ft Aspers Casino. 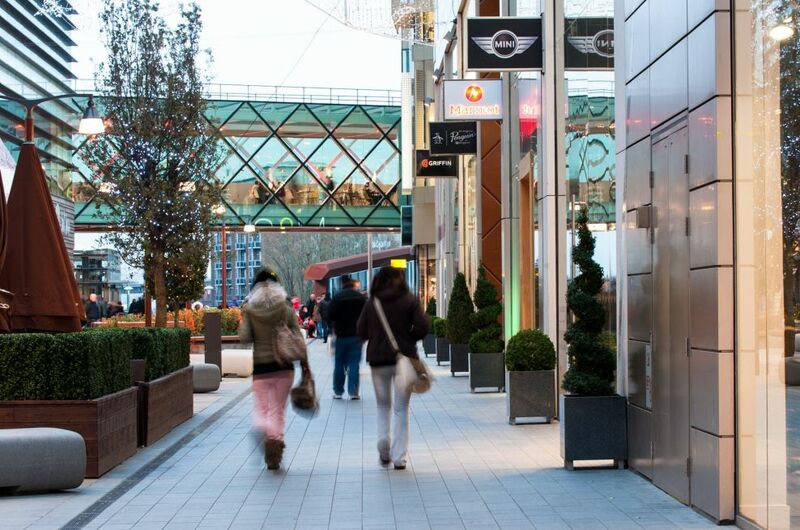 Part of one of the largest urban regeneration projects ever undertaken in the UK, Westfield Stratford City also offers spectacular views of the Olympic Park, and is served by excellent transport links.